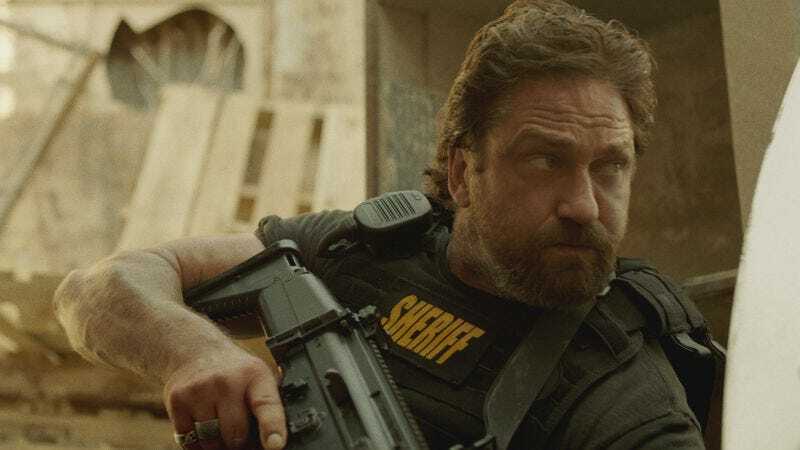 Den Of Thieves, last month’s heist film from first-time director Christian Gudegast, is exactly the sort of movie that seems destined to be forgotten. It has a fairly generic name, it stars Gerard Butler, it’s derivative of better heist movies, and yet its surprisingly entertaining performances and clever plot have helped make it into a surprise hit. In fact, Deadline is reporting that STX and Diamond Film Productions have already given the green light to Den Of Thieves 2, with Gudegast returning to direct and writing the script “from an original idea.” 50 Cent will also return to produce alongside Butler. We even have an early synopsis for the sequel, with Deadline saying it’ll follow Butler’s character once again as he chases original villain O’Shea Jackson Jr. (Ice Cube’s son) through “the streets of Europe”—a payoff to the end of the first movie. That’s a pretty straightforward setup for a sequel, so hopefully Den Of Thieves 2 can maintain the original’s surprisingly good pace and lay the groundwork for the inevitable Den Of Thieves 3 in which the good guys have to team up with the bad guys in order to stop an even badder guy. Then it’s just a matter of time before Dwayne Johnson signs on, and we’ll have another inescapable action behemoth on our hands.